Song of the day: Pastel Vespa – "Am I Ever Gonna See Your Face Again"
Loyal* reader of this blog, pb669 (Hi, pb669! ), commented on a Song of the day from last year. The song was “Am I Ever Gonna See Your Face Again” by Australian band The Angels. Pb669 mentioned that Andy Scott’s Sweet also recorded a version of “Am I Ever…”. That piqued my interest (I didn’t know that anybody had recorded a cover version of it), so I went a-lookin’ for – and found – the Andy Scott’s Sweet version. I had a listen but didn’t like it very much. However, whilst looking for that version I came across another one. It’s by Pastel Vespa, a musical concept from Australia. It’s fronted by Melbourne chanteuse Fiona Thorn, and the concept is similar to Australian singer Frank Bennett or American group Big Daddy, whereby popular songs are given a “makeover” and turned into something they were never intended to be. With Frank Bennett, they’re given the Swing treatment (there’s an example in one of my previous posts), and with Big Daddy they become 50’s ditties (there’s an example over at the PowerPop blog). In the case of Pastel Vespa it’s continental Lounge music. Yummy. 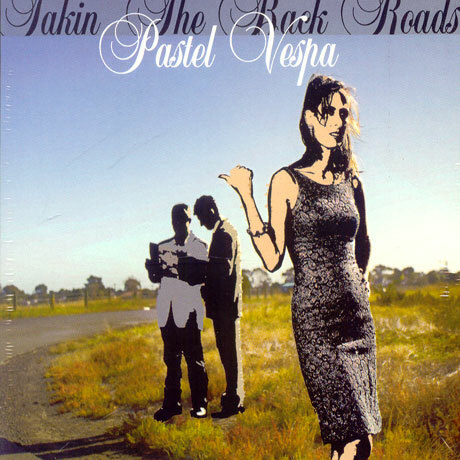 By the way, that song appears on Pastel Vespa’s second album, Takin’ The Back Roads (2004). In addition to “Am I Ever…”, the album also features Easy-Listening modifications of tracks such as Prince‘s “When Doves Cry“, New Order‘s “Blue Monday“, Billy Idol‘s “White Wedding“, and Metallica‘s “Enter Sandman“. Mighty good. And mighty smoooooth. You can preview the album here. You are currently browsing the archives for the Pastel Vespa category.